Online ordering menu for Pizza Deal. 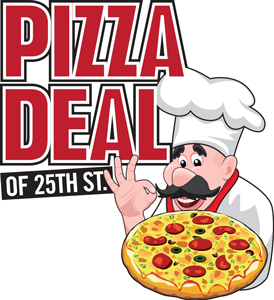 If you're looking for pizza and Italian cuisine in Baltimore, Maryland, check out Pizza Deal on 25th Street. We also serve stromboli, wraps, sandwiches, and more. Don't forget to try our wings or chicken tenders. We're located at the corner of 25th Street and Greenmount Avenue. We're near Mund Park and Kirk Avenue Athletic Field. Order online for carryout or delivery!